It is rewarding to talk about and discuss the significance of Bible prophecy and the signs pointing to the return of the Lord Jesus Christ. This is particularly true for those who hold to the truths of God’s Word regarding this important emphasis of Scripture. As a result, there are many signs today that are pointing to the conditions that are now present and will exist in the end times. Therefore, after the Lord Jesus raptures His redeemed church, this blessed event (Titus 2:13) will change the world and how it functions with the revealing and reign of the Antichrist (1 John 2:18; Revelation 13). Yet, Israel is the major sign over all the rest in their prophetic importance. With the rebirth of Israel in 1948 to statehood, this set the stage for the Tribulation period. It was as though God’s pendulum began to move on His timepiece for the fulfillment of Bible prophecy in spite of the Jews rejection of Jesus as their Messiah. The reasoning behind this movement is the stress upon Israel throughout Scripture, not only for God’s promises to her but also for her chastening. Thus, the Bible speaks of a worldwide gathering of the Jewish people in two distinct events: They will first be gathered in unbelief in preparation for the judgment of the Tribulation period. But secondly, they will be gathered in faith in preparation for the blessings of the Messianic kingdom and the fulfillment of God’s promises to them, to Israel. For instance, in Zephaniah 2:1-3, the prophet describes a period of time the Bible calls “the day of the LORD” (1:14; 2:2). If we study the “day of the LORD” throughout the Bible, we quickly realize that it does not mean the same thing everywhere. Generally, it refers to God’s judgment. In 1:14, it is portrayed as a day of wrath. And, the context determines the time frame. This is seen, too, in the word “gather” (2:1). Therefore, in the context, this word refers to a physical and literal gathering. For this reason, it pertains to God literally gathering Judah back to the land, the land of Israel, prior to the “day of the LORD,” the seven year Tribulation period (Dan. 9:27). But, after the Tribulation and with the Second Coming of Jesus Christ, the Jews will be gathered in faith in preparation for the Messianic kingdom. At that time, they will recognize Jesus as their Messiah (Zechariah 12:10). God promises the spiritual regeneration of Israel through the New Covenant (Jeremiah 31:31-34). He says to them, “I will …gather you out of all countries…I will give you a new heart and put a new spirit within you…I will put My Spirit within you and cause you to walk in My statues, and you will keep My judgments and do them” (Ezekiel 36:22-27). These are Jews who will come to faith in the Lord Jesus at that specific time. This remnant will also dwell in the land that God promised them through Abraham (Genesis 13:14-17; 15:18-21; Jeremiah 23:5-8). “Then you shall dwell in the land that I gave to your fathers; you shall be My people, and I will be your God” (Ezekiel 36:28). Along with their spiritual regeneration, God promises that they will inherit the land that He promised them. 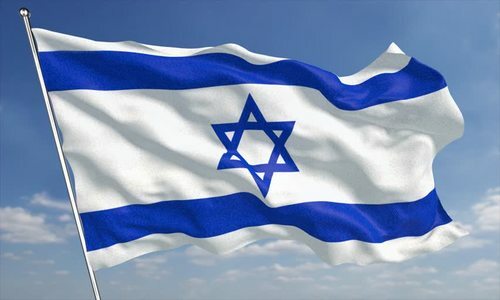 Keep your eyes upon Israel in understanding Bible prophecy!